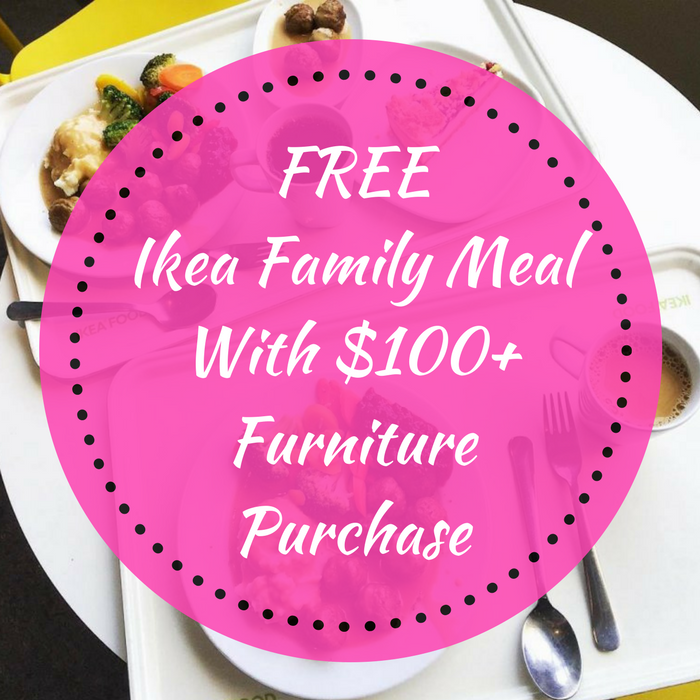 FREE Ikea Family Meal With $100+ Furniture Purchase! You are here: Home / FREEbies / FREE Ikea Family Meal With $100+ Furniture Purchase! From January 13-15 only! Ikea stores across the nation will be offering FREE Meals for the entire family with a furniture purchase of $100 and above! If you are in need of a new furniture then this is a great deal! – Present your IKEA Family Card along with the coupon from your meal receipt. – Get your ENTIRE bill deducted from your furniture total! Awesome, isn’t it? Don’t miss this chance!